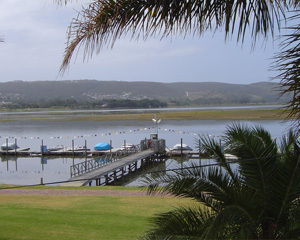 The Sundeck with its magnificent views of the Knysna Lagoon is the ideal place to relax and enjoy the tranquility of the surroundings. 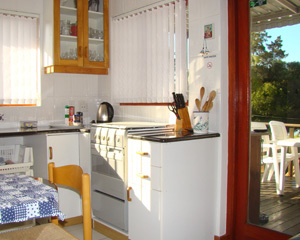 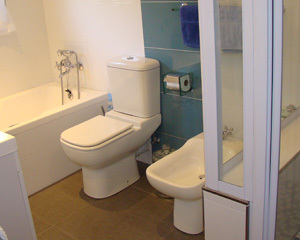 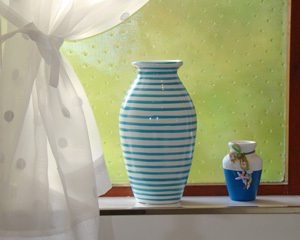 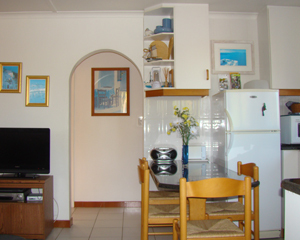 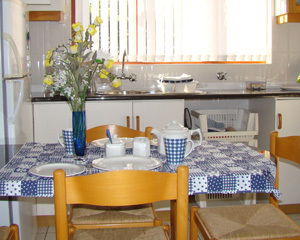 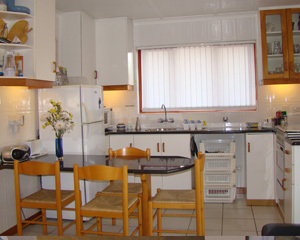 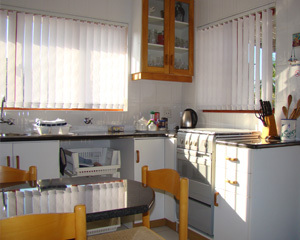 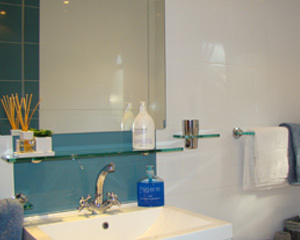 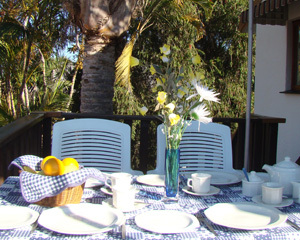 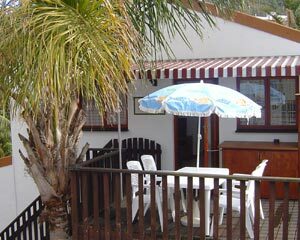 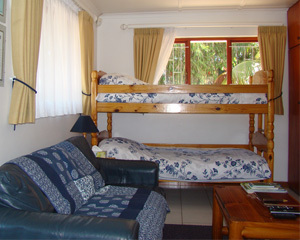 It has a patio table, chairs and private braai/barbeque facilities. 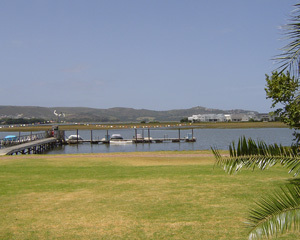 A boat can be moored with prior arrangements on the floating jetty facility situated in front of the property. 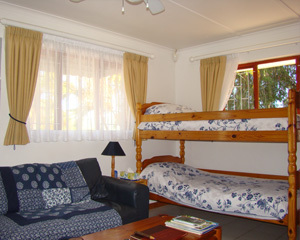 A double canoe is always on the jetty available for our guests to use at their leisure, while the large garden provides ample space for the children to play safely. 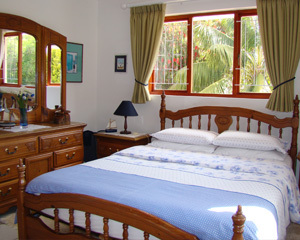 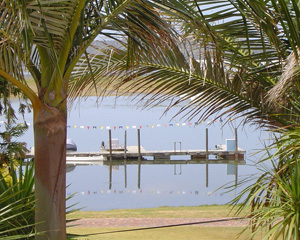 Guests can bring fishing rods to fish from the jetty or from the shores of the lagoon. 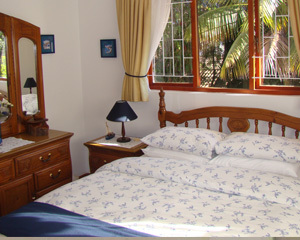 They can also rock or surf fish in the Indian Ocean not too far away.